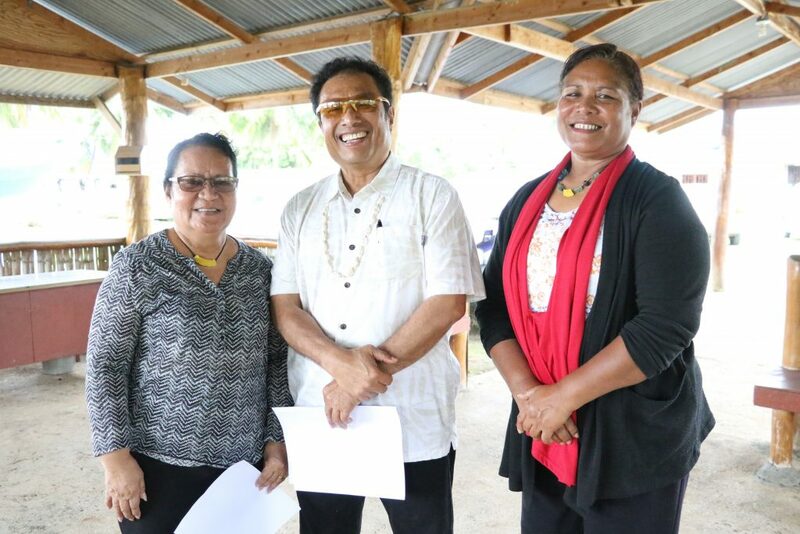 On August 8th, President Tommy E. Remengesau, Jr. presented a total of $32,900 in awards through the 2018 Year of Good Health Small Grant Program to support initiatives by organizations and government agencies to promote a healthier Palau. 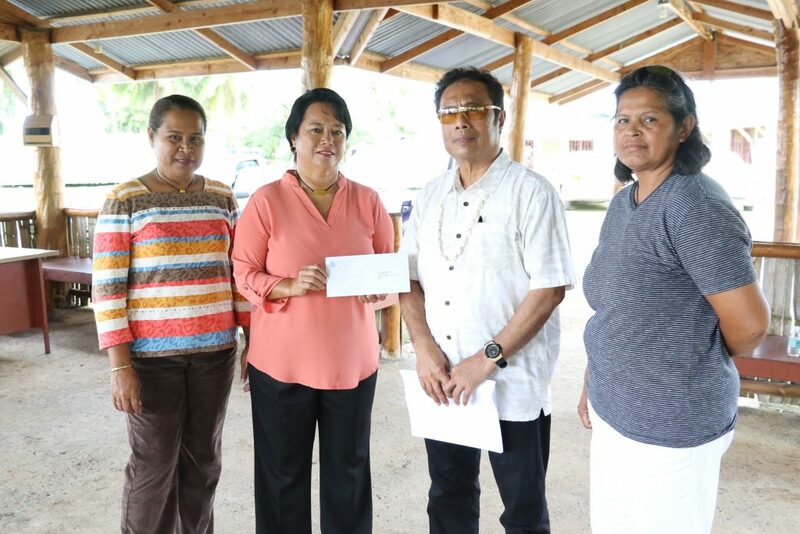 The Dil Odesangel Club, a non-profit organization led by women from Peleliu State received a grant award of $9,900 to implement the “Healthy Community Starts with Kinrohosi” Project. Through kinrohosi or volunteer work, Dil Odesangel aims to encourage physical activity, encourage community partnership and engagement by organizing multiple activities in Peleliu State in line with the Year of Good Health. Activities include coastal beach clean-up, roadside trash pick-up, kebeas eradication, hanafuda and table tennis competition. The Semesemel a Klengelakel Organization (SKO) received a grant award of $8,000 to purchase a van in support of the “Strengthening Families Program”. By purchasing a van, the Organization will be able to ensure transportation of parents and children to and from the 14-session program in Ngerchemai, Koror. The program will help build interpersonal relationship skills and support positive parent-child relationships of high-risk families struggling with substance abuse. The Ministry of Health received a grant award of $5,000 to support the “Respiratory Equipment for ICU and Medical Ward” Project at the Belau National Hospital. The grant award will enable the Ministry to procure 2-3 non-invasive ventilation devices helping to improve the delivery of treatment and support to patients suffering from respiratory diseases. The Ministry will also provide nurse training on effective and proper use of the NIV equipment. The Ministry of Education received a grant award of $10,000 supporting the “Public Schools Health Awareness Campaign” with the objective of educating public elementary school students about the effects of uncontrolled sugar, salt and fat intake in relation to non-communicable diseases (NCD). Targeting 5th and 6th Grade students, the project will also develop a healthy eating guide as well as encourage students to promote healthy lifestyle choices through the development of posters and signs. President Remengesau praised the organizations for doing their part to promote healthy living by developing initiatives to help the People of Palau lead healthier lives, and further encouraged the organizations to advocate for health screenings and medical check-ups in their communities. The Year of Good Health Small Grants Program is made possible by the Government of India.